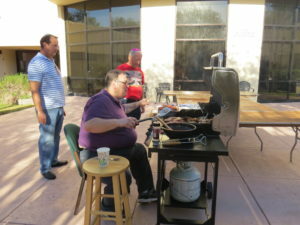 The Mitzvah Men’s Club is affiliated with the Federation of Jewish Men's Clubs and is active in all parts of synagogue life, providing a social, spiritual and educational outlet for all. 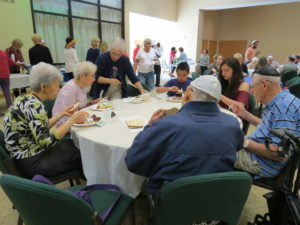 Join the fun year round with events: Building the Sukkah, Reverse Tashlich, Suds in the Sukkah, serving latkes at Hanukkah, Steak and Scotch, Mother’s Day Brunch, Men’s Club Shabbat, Annual Passover BBQ, and the annual World Wide Wrap, which offers a unique opportunity to come together in prayer and always draws a crowd. This year we are trying to focus more on social engagement. If you have any suggestions, please reach out to the CBI office or our board. We'd love to hear your ideas. 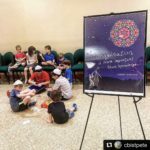 Get your hands dirty learning about the history and pre-history of Jerusalem as we celebrate the 72nd anniversary of the Reunification of Jerusalem.